Before you begin the process of repotting, it is always worth preparing the materials that will be needed, as time spent looking for materials during the course of repotting will prolong the amount of time the roots are exposed to the air. 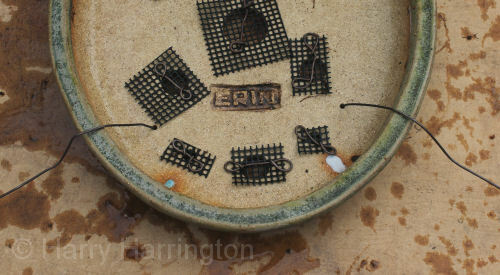 Ensure that the following materials are to hand; sufficient good quality bonsai soil, tools, drainage mesh and wire. If a new pot is to be used for the repotting, prepare the pot. This English or Field Elm/Ulmus minor bonsai has been developed by me for nearly a decade. Healthy Elms have very vigorous root-growth and require regular repotting, every one to two years. They are also capable of tolerating very aggressive rootpruning, more so than many other deciduous tree species. 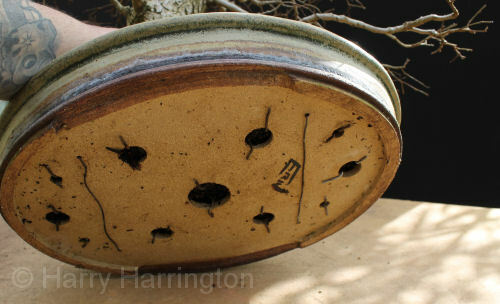 If using a new pot, this procedure can be carried out before the tree is lifted from its old pot. If the old pot is to be retained, it will need to be thoroughly cleaned with water and prepared after the tree has been removed. ‘Butterflies’ are shaped from bonsai wire and are used to hold plastic mesh in position over the drainage holes. 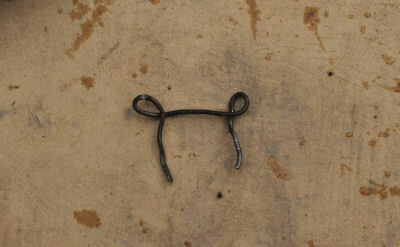 A length of wire shaped into a 'butterfly' to hold the drainage mesh in place. 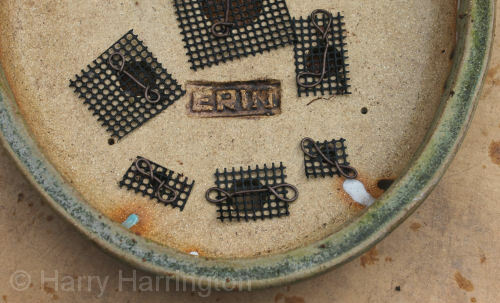 The two ‘tails’ of the wire butterfly are threaded through the mesh and drainage hole and then pushed back against the bottom of the pot so that they grip tightly. Plastic mesh is used to cover the drainage holes of the pot, stopping the soil medium from falling through the drainage holes. 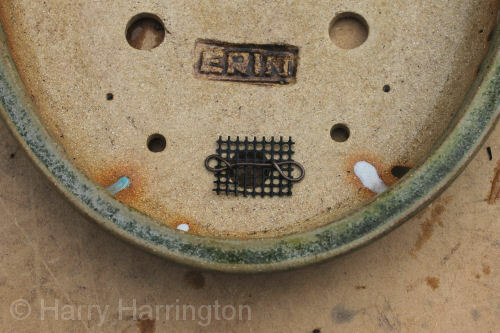 Here the drainage mesh can be seen on the inside base of the pot, secured into position by the wire butterfly. Lengths of aluminium or copper bonsai wire are then threaded through the drainage holes, or wire-holes if they are provided, in a loop. These are used for anchoring the tree into position once it has been planted into the bonsai pot. This is an important part of the repotting process and should not be forgotten. 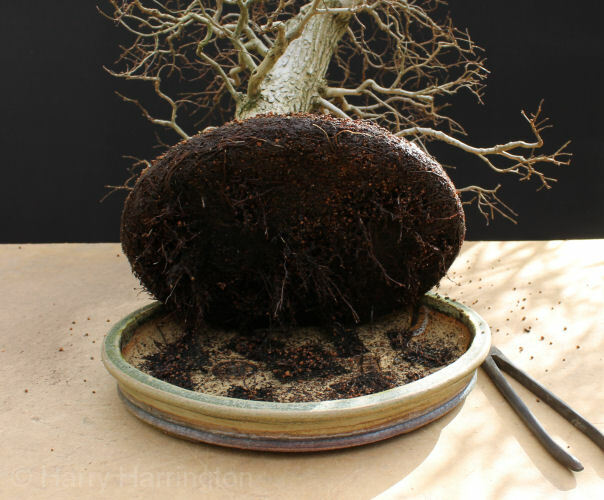 Bonsai that are not firmly anchored into their bonsai pot are at risk of being blown over in strong winds and are liable to damage if the tree is moved around, at least until the rootball has grown significantly and secured itself within the pot. In either event, damage to young roots and therefore the tree itself, is likely. There are a very large number of soil mixes that are suitable for bonsai. Indeed, it is a hotly debated subject within bonsai-circles as choosing the right soil-mix for your tree and climate is of the utmost importance. 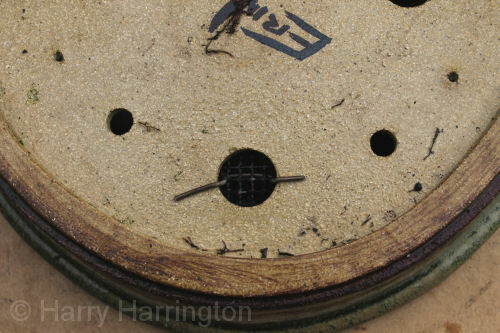 Cut the tying-in/anchor wires from underneath the pot and tilt the tree out. If the tree is reluctant to come out, tap the sides of the pot with your hand to try and separate the soil from the edges. If this fails to work, run a sharp knife along the inner edges of the pot to release the rootball. Gently, lift the tree and inspect the rootball. 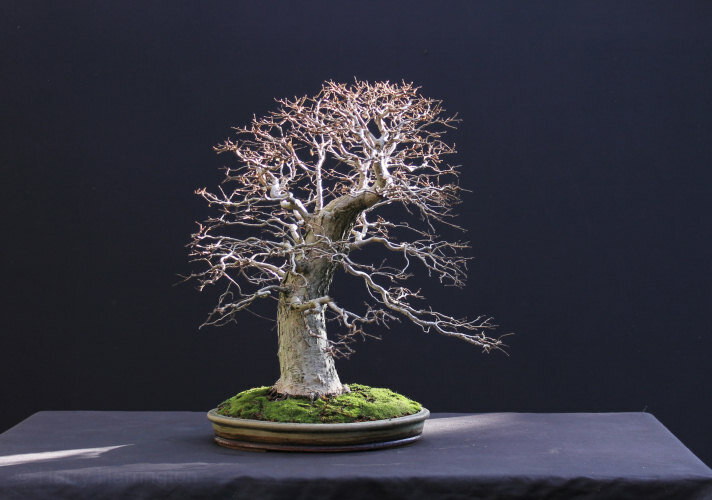 The Elm bonsai released from its pot. The roots have fully colonized all of the available space in the soil and have begun to circle around the edges of the pot. This is known as being “pot-bound” or “root-bound”.